The war has begun!! It's time to show your skill and show your dominance! 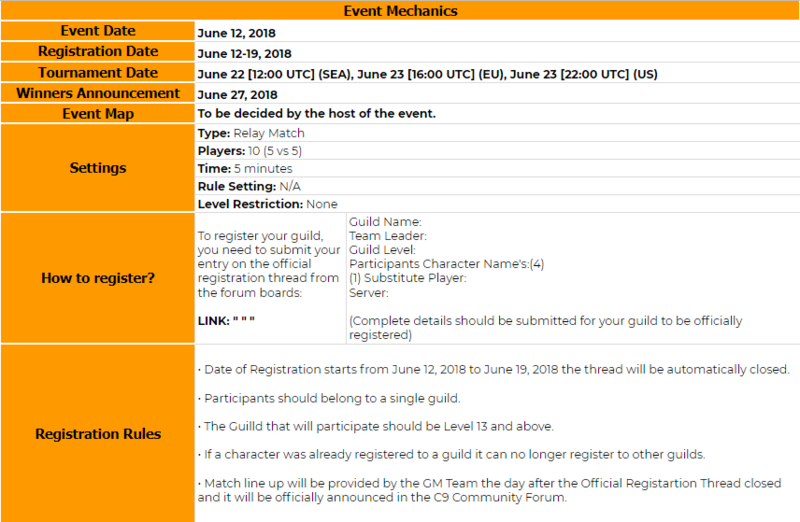 We are glad to announce our first ever Guild VS Guild Event! The long wait is over, start gathering your forces and show that you have the mightiest guild on the Continent. Gather your Guild's most Formidable Fighters and form a team to join and dominate the Continent of the Ninth by showcasing your skills in the Arena. After filling this up, You need to post the details on this thread to submit your entry. • The team should not consist of repititive classes. 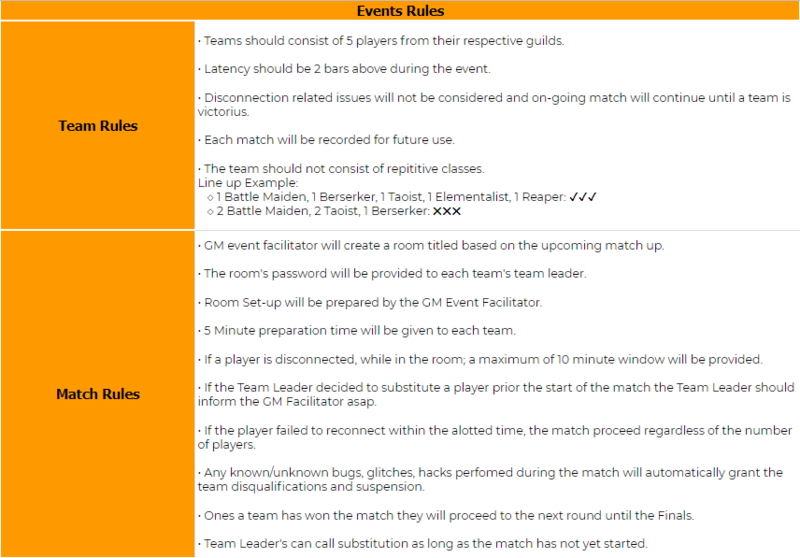 • The Guilld that will participate should be Level 13 and above. Last edited by (GM)Chibi; 15-06-18, 02:45 AM. Last edited by YonkoShanks; 19-06-18, 05:21 AM. Last edited by YonkoShanks; 18-06-18, 08:19 PM. Last edited by (GM)Chibi; 11-07-18, 02:50 AM. Last edited by (GM)Chibi; 11-07-18, 02:47 AM. Last edited by (GM)Chibi; 07-07-18, 01:38 AM. Last edited by (GM)Chibi; 19-06-18, 06:16 AM. All times are GMT0. This page was generated at 12:15 PM.